With the onset of great weather and longer days, many people are cleaning up their homes and handling debris removal. But what do you with your old TV? Spring cleaning, DIY projects around the house, home repairs and upgrades - all of these eventually require amount of debris removal. Along with that comes getting rid of old fixtures, furniture and appliances, including your old TV. This is especially true now that more and more homeowners are upgrading to large, flat screen TVs. In fact, it seems that every year millions of American households find themselves with newer, bigger screens. And this means that there are literally millions of "old" screens and monitors that end up looking for a home or being tossed out somewhere. Tossing out televisions of any kind falls under the category of electronic waste disposal, also known as e-waste disposal. However, because of the many laws and regulations, especially in states such as California, items such as monitors, TVs, and even cell phones cannot be simply tossed in the trash. What's more, when you want to properly dispose of any old CRT devices you still have around, such as pre-flat screen TVs and computer monitors, the process takes time, effort and money. There is good reason for the laws and other regulatory restrictions on CRT-type devices. They are made up of highly dangerous materials. Currently, the total amount of e-waste only makes up of 2% of the municipal waste stream in America. But that amount is increasing rapidly and e-waste is among the most toxic of waste products. While these devices are perfectly safe while they sit around in your home, when they are broken apart or left to rot and rust, all sorts of toxic materials are allowed to seep out. Among the most toxic components are lead, mercury, arsenic, cadmium, chromium and barium. Televisions, old VCRs, DVD players, stereos, copiers, fax machines, tablets, computers, and plenty more electronic devices all become e-waste as soon as they are not wanted anymore. E-waste isn’t always easy and convenient to recycle. Local governments often have e-waste collection days a few times a year, but that means that homeowners have to store the unwanted items in the meantime. Part of the problem with getting rid of an old "new" television - the flat screen type - is the sheer bulk and size. Although they do not contain some of the toxic substances of CRTs, such as cadmium and lead, they still have their share of toxins. But even flat screen old TV disposal can be problematic. Recycling, of course, is always the best option for old televisions that do not work. Another efficient and far more convenient channel for your old TV disposal needs - whether we're talking about old computer monitors, old CRT televisions, or large flat screen units - is to call a reputable junk hauling firm. Junk King provides an efficient, safe and eco-friendly TV disposal service to make the whole process easy for you. Our experienced television removal team will have the manpower to haul off that old TV set without damaging any of your home on the way out. We’ll do all the heavy lifting - no need to carry items out to the curb. Finally, we’ll make sure that the TV is disposed of at a proper recycling facility so that it doesn’t do any harm to our ecosystem. 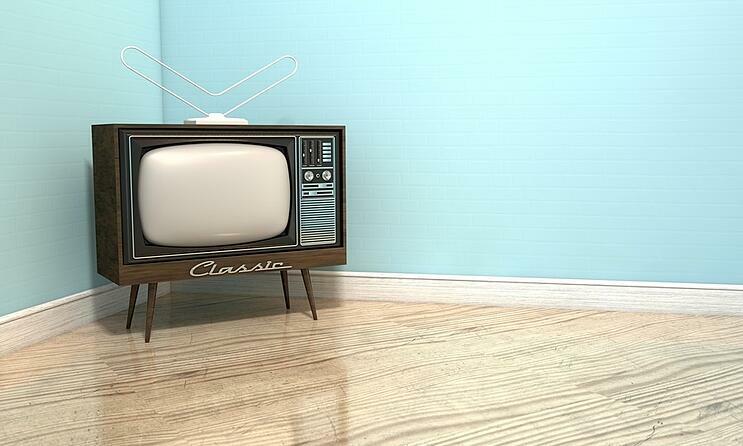 Ready to get rid of your old TV? It’s as simple as 1, 2, 3. You make an appointment by booking online above or by calling 1.888.888.JUNK (5865). Our professional and insured TV disposal team will show up at your home or office; we call 15 minutes before we arrive on site and we’ll give you a free estimate based on how much room your items take up in our truck. You point and we haul your old TV set into our junk removal trucks, with no hidden fees.